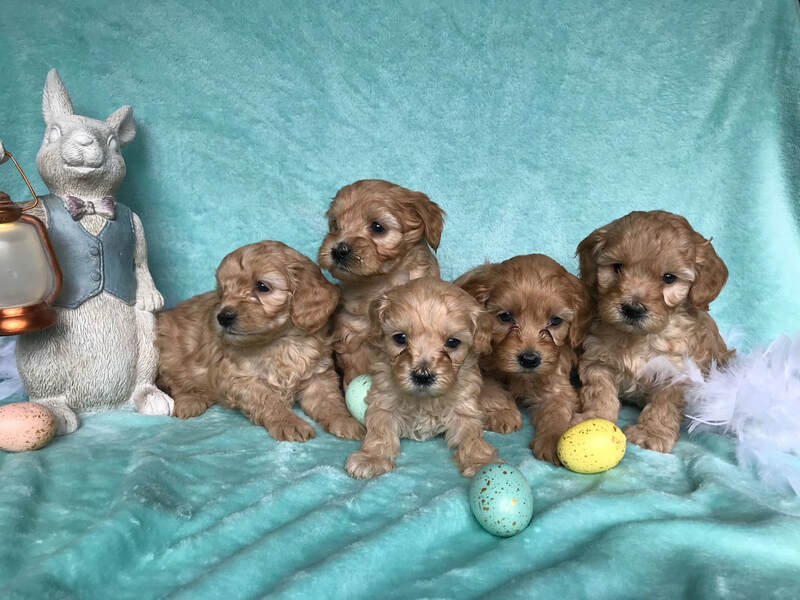 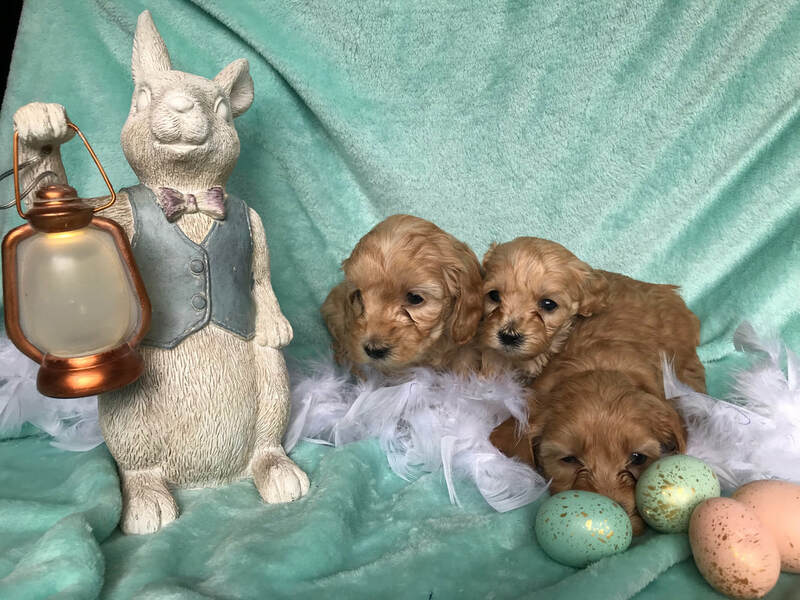 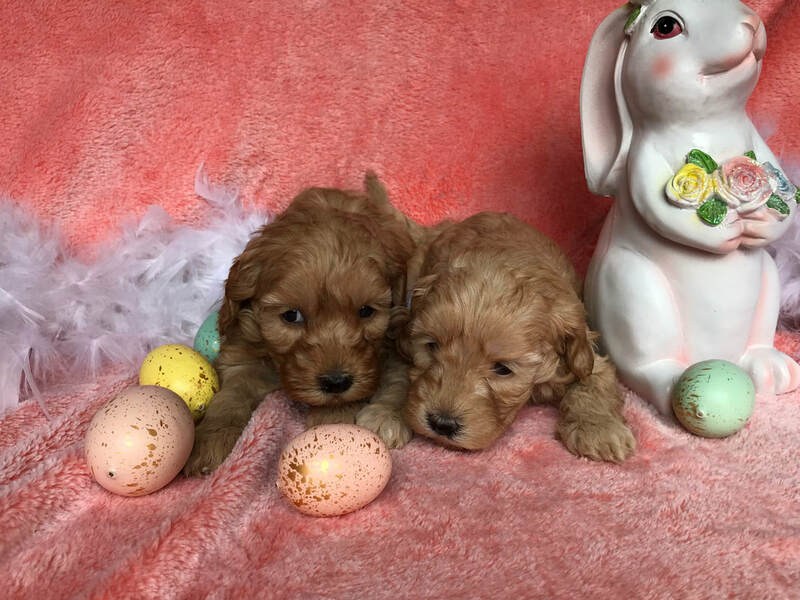 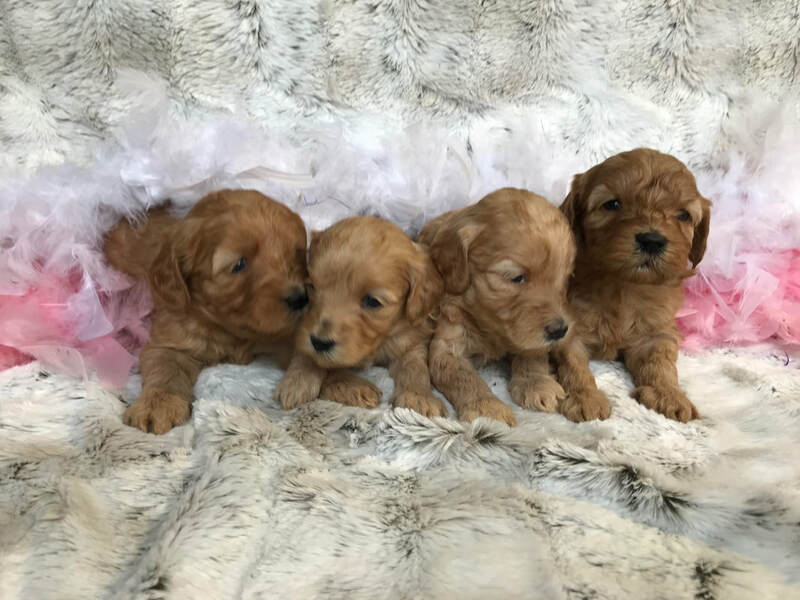 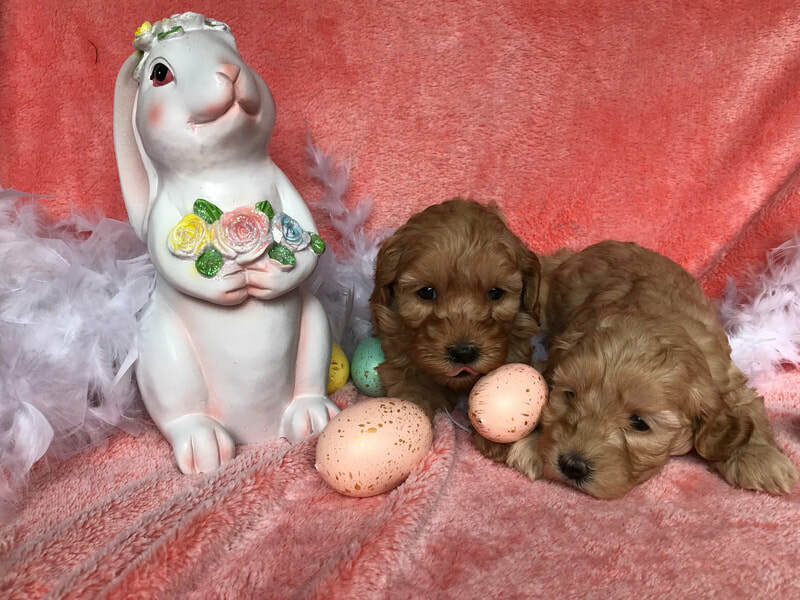 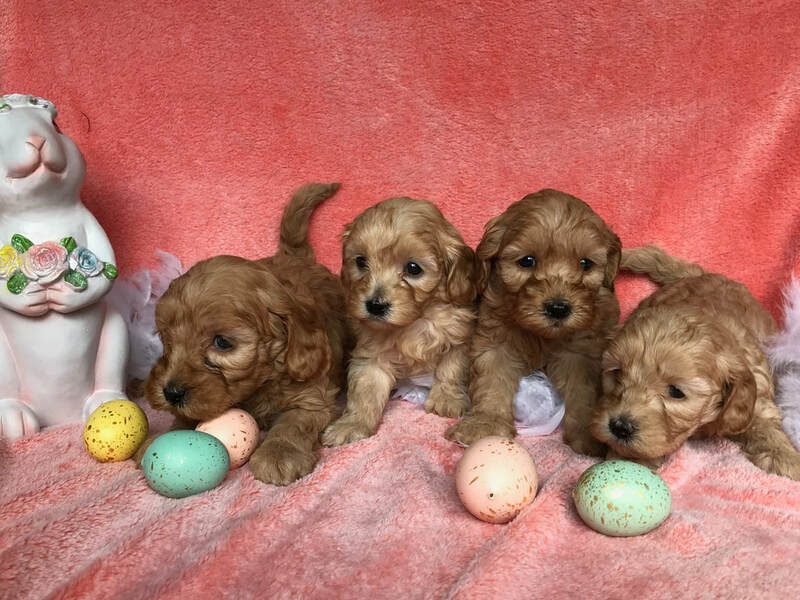 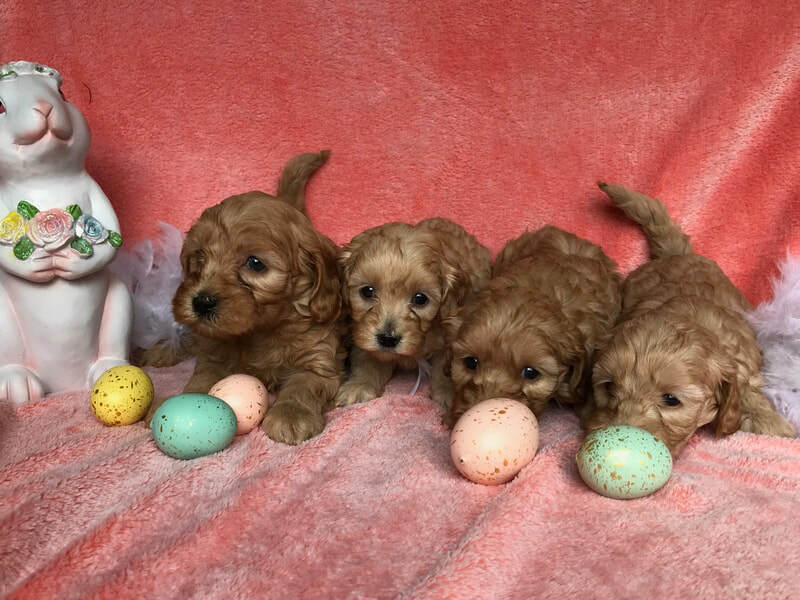 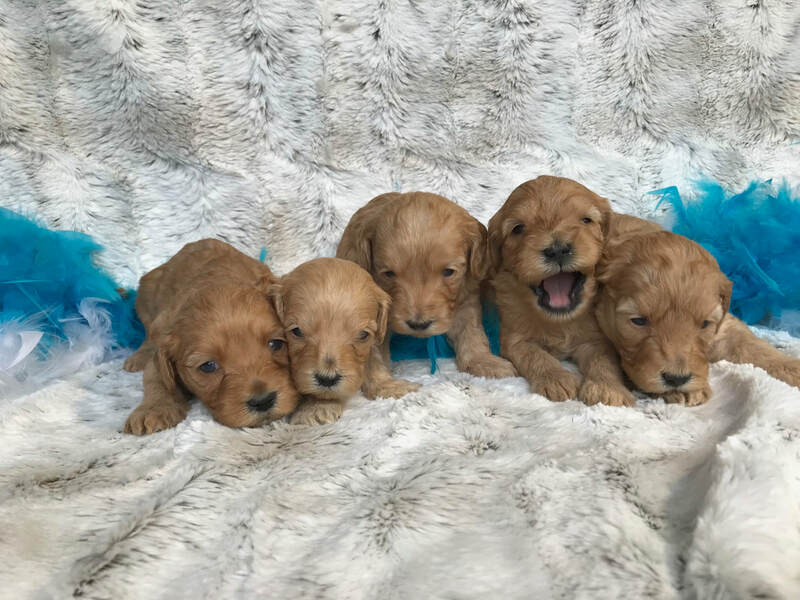 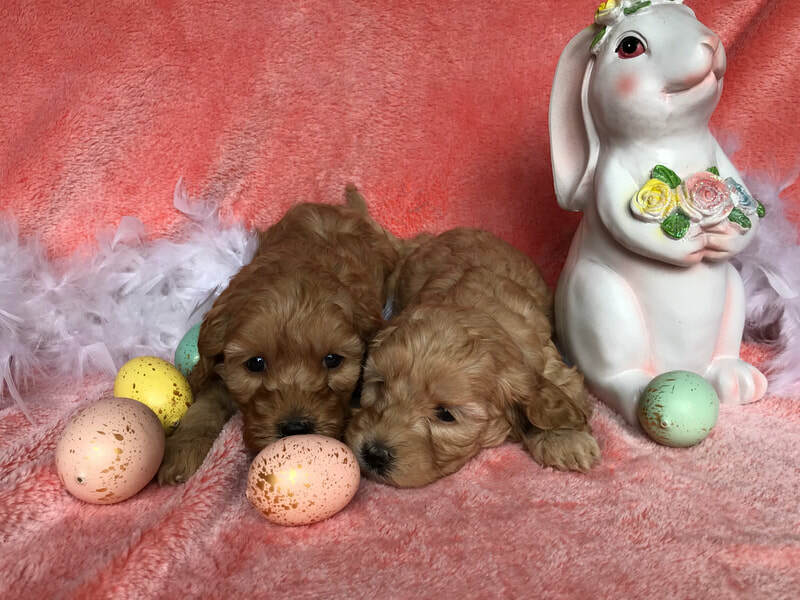 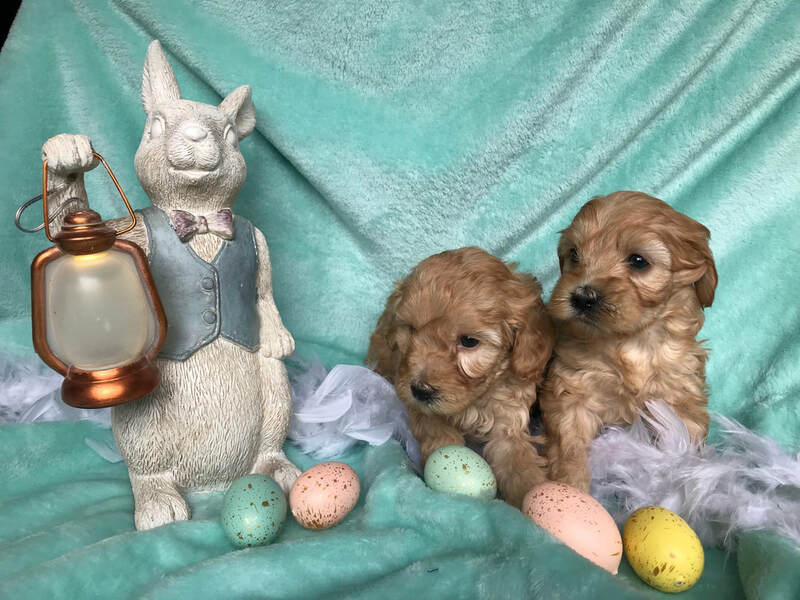 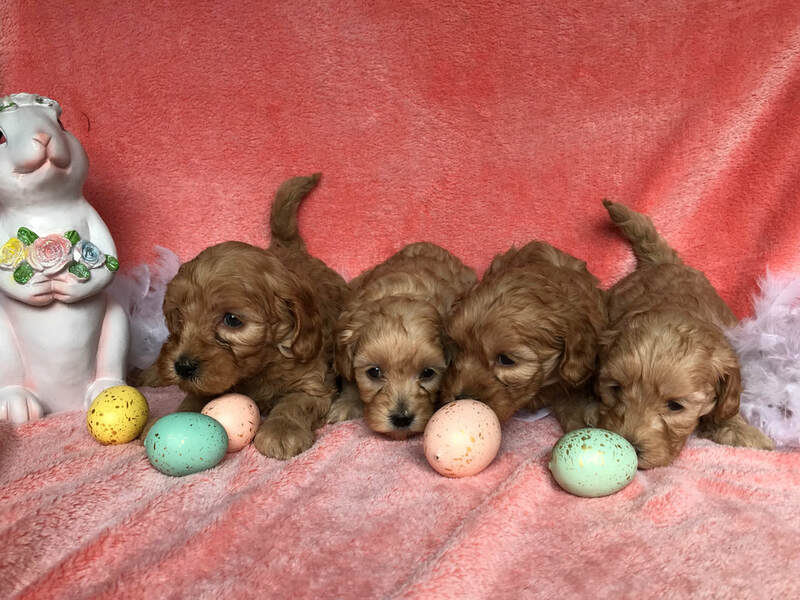 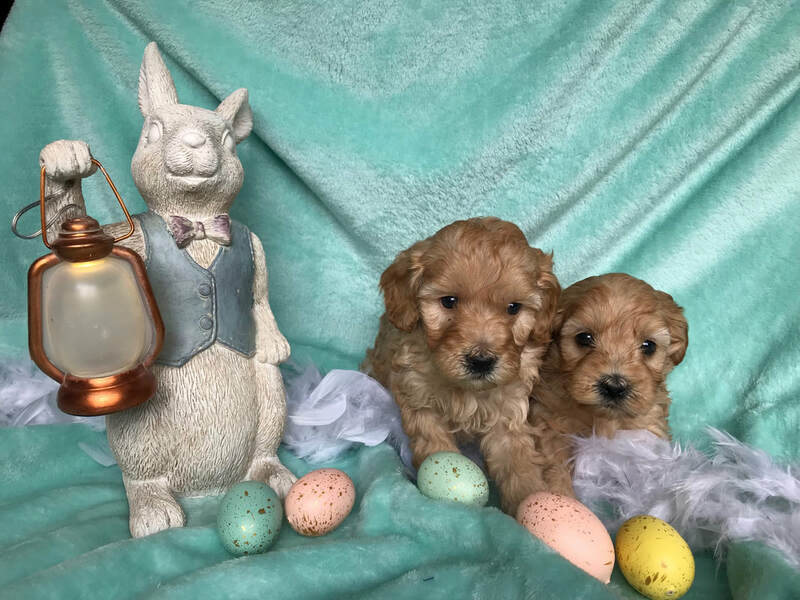 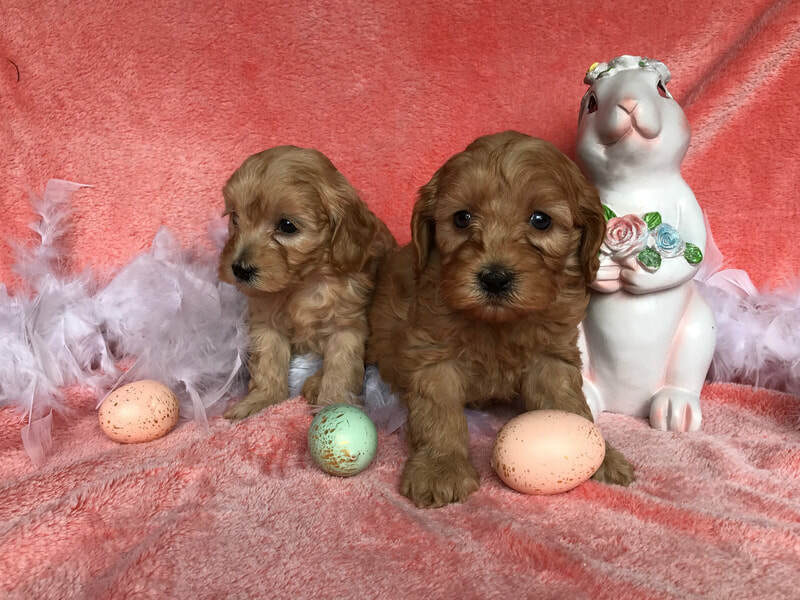 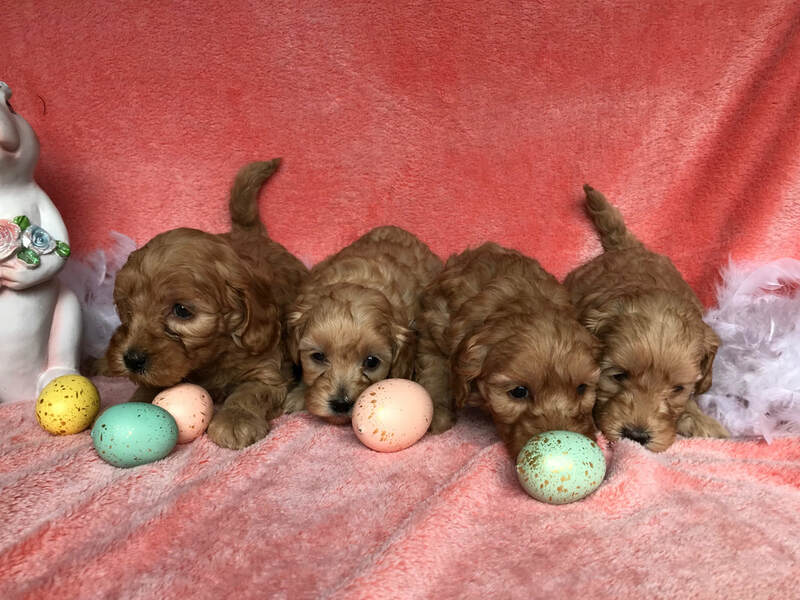 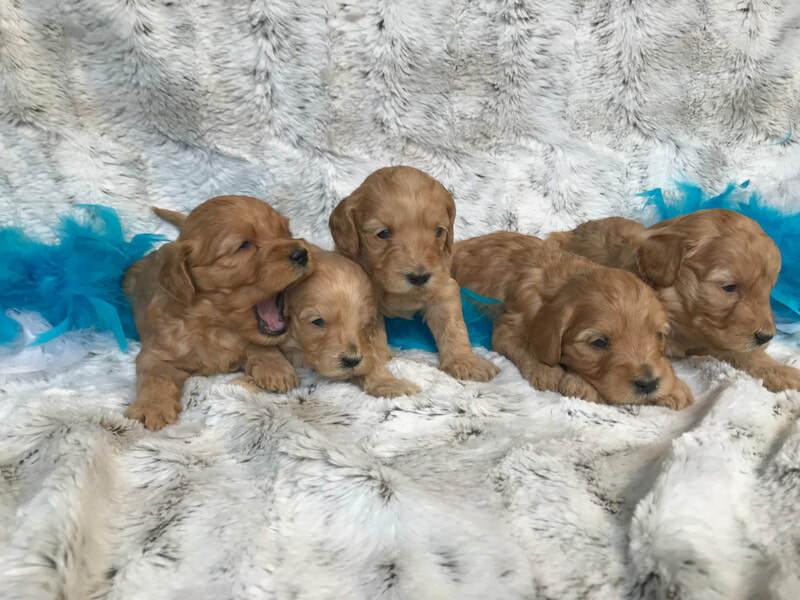 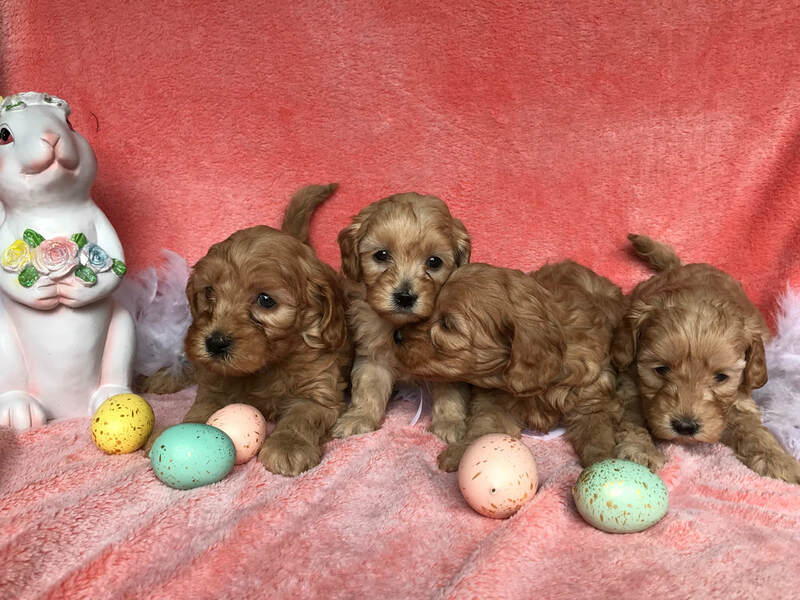 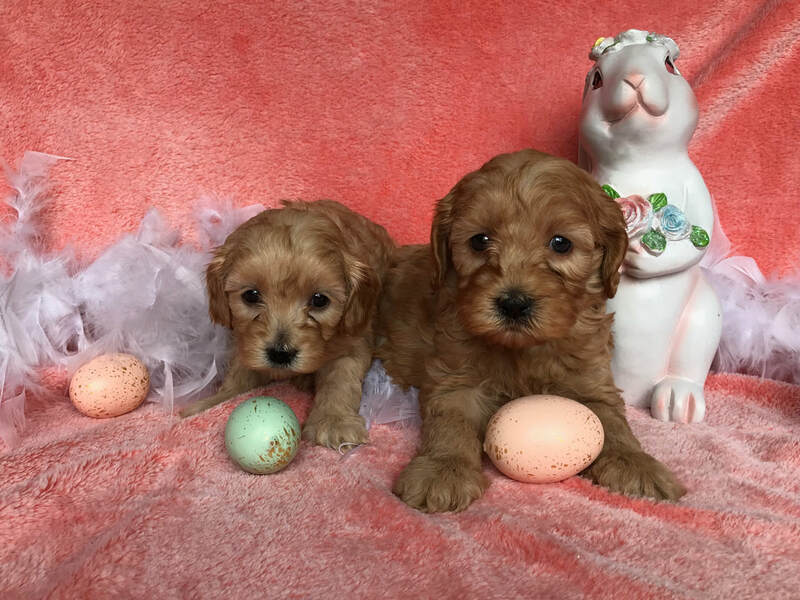 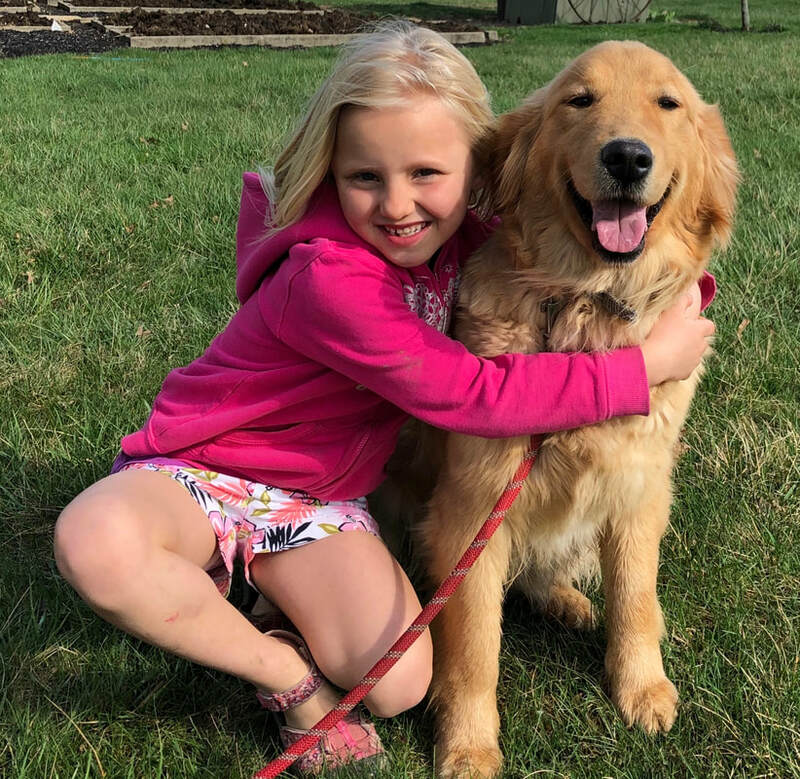 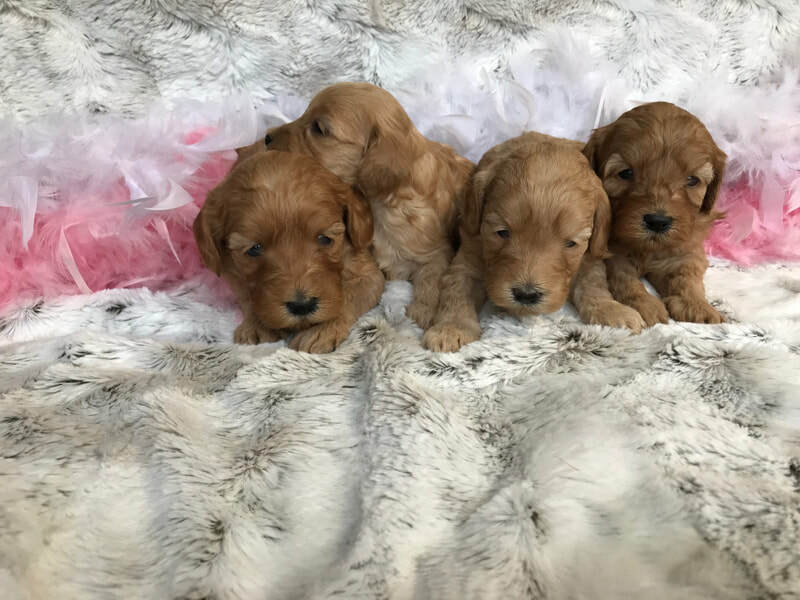 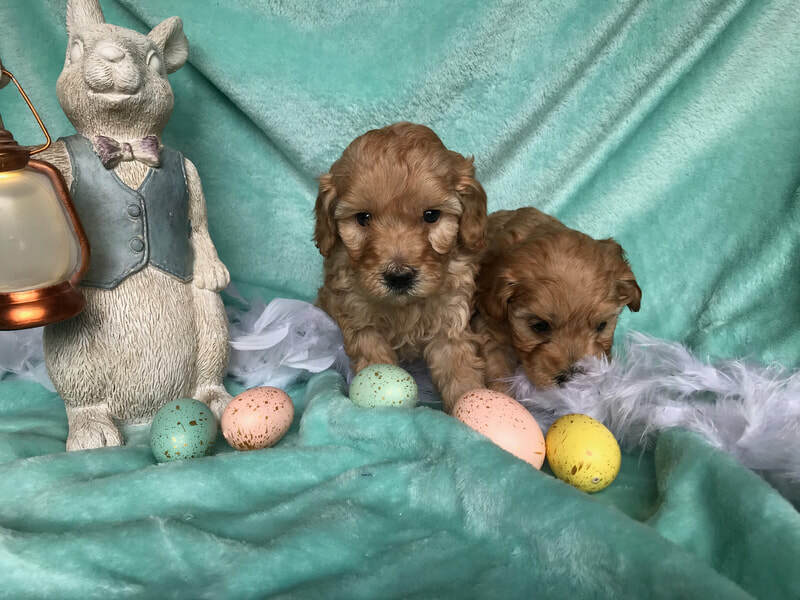 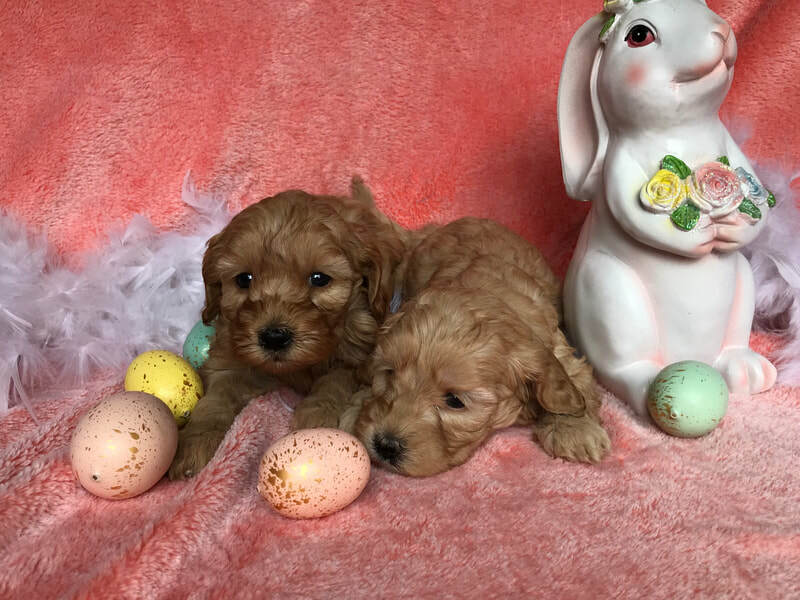 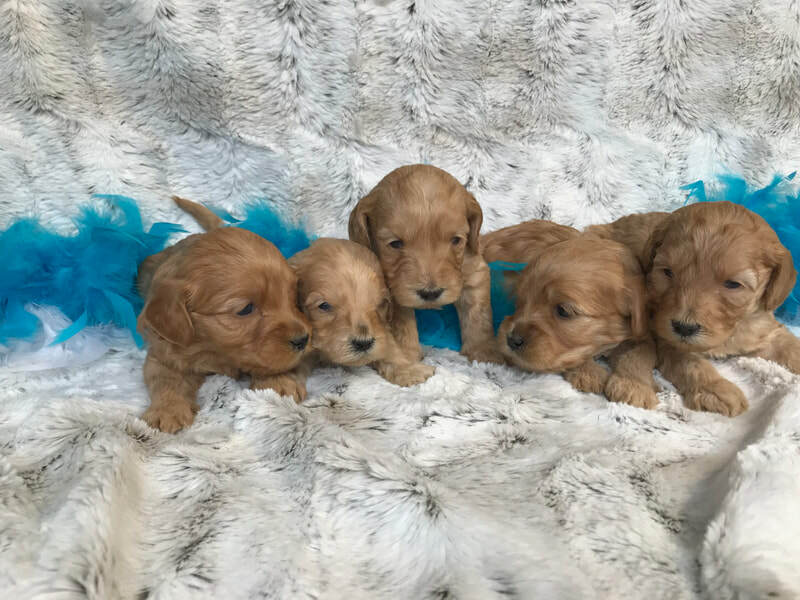 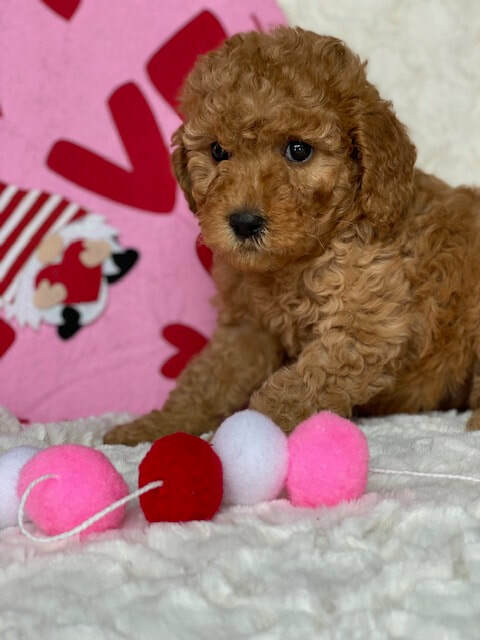 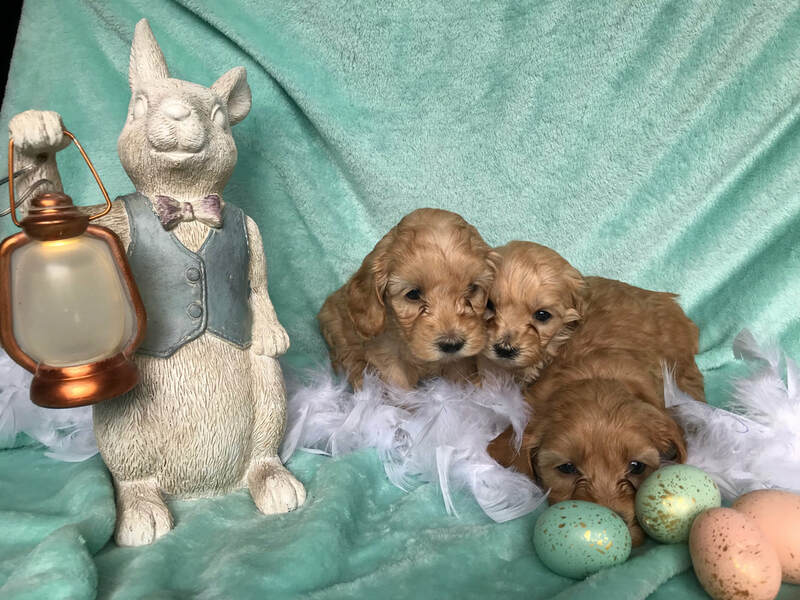 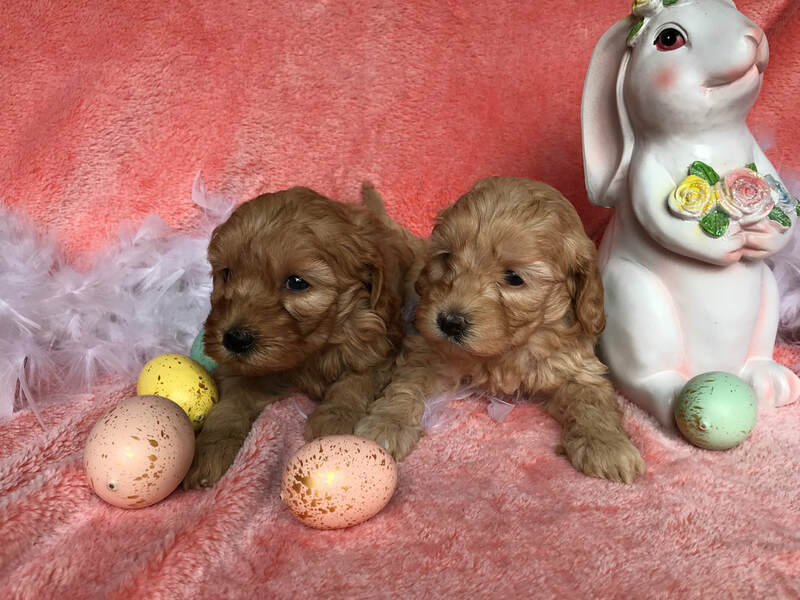 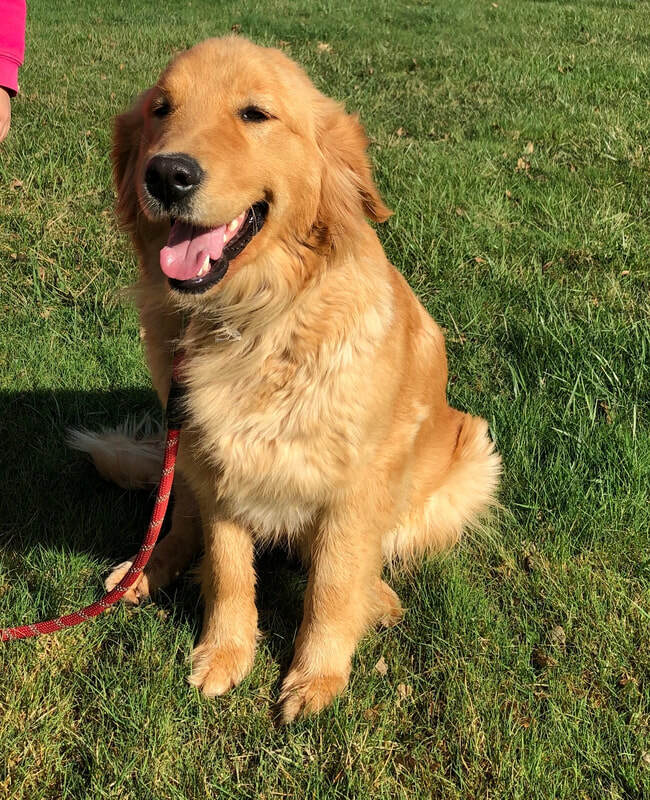 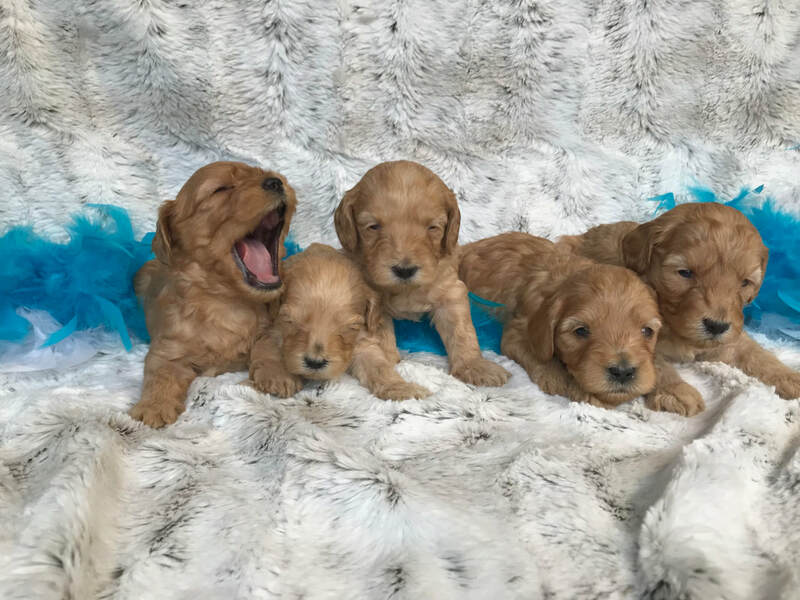 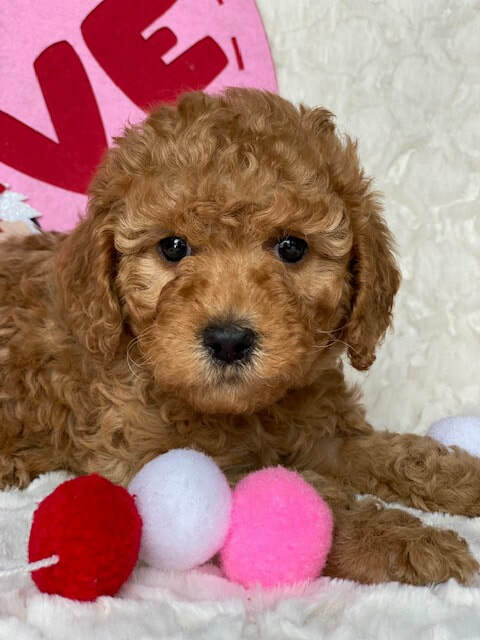 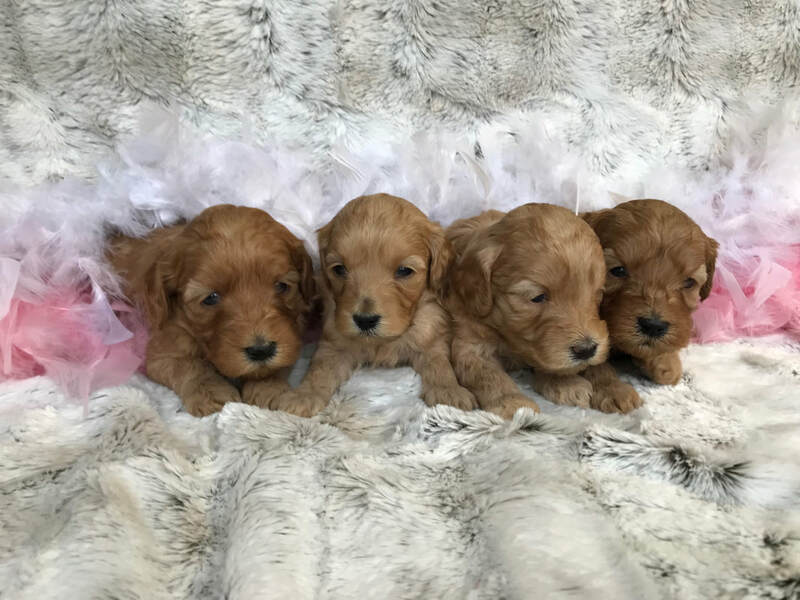 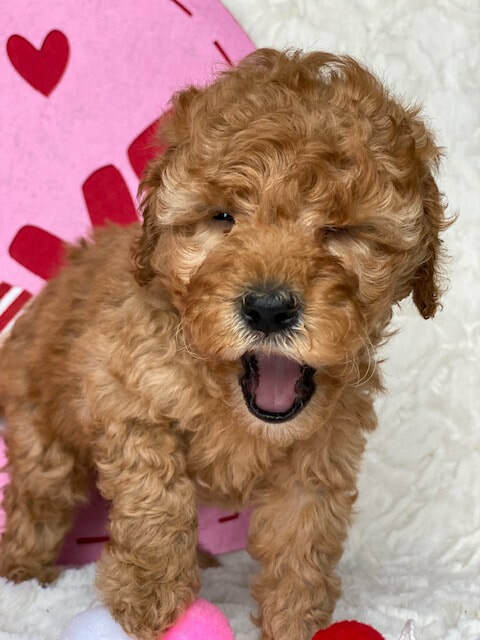 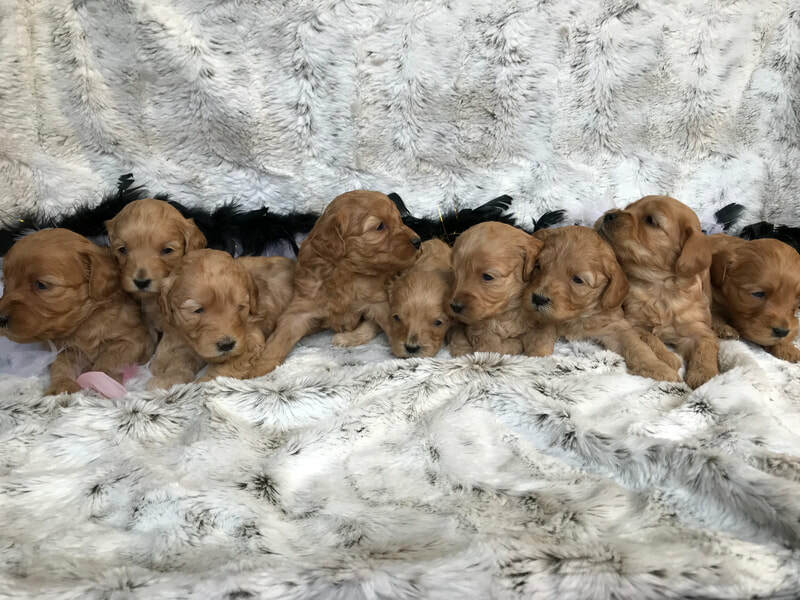 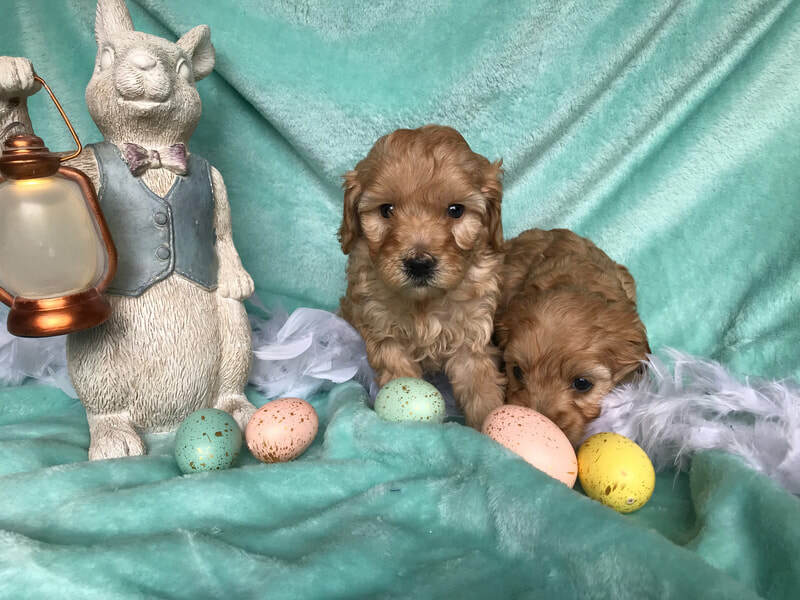 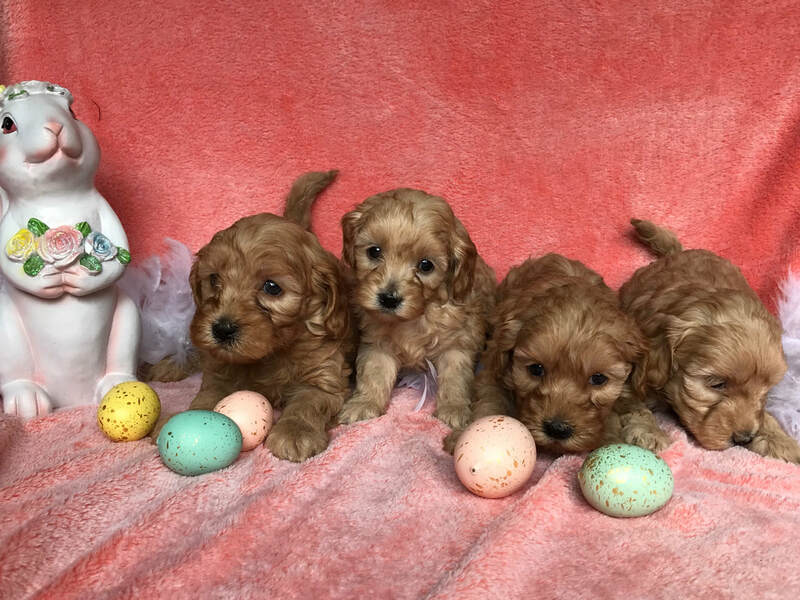 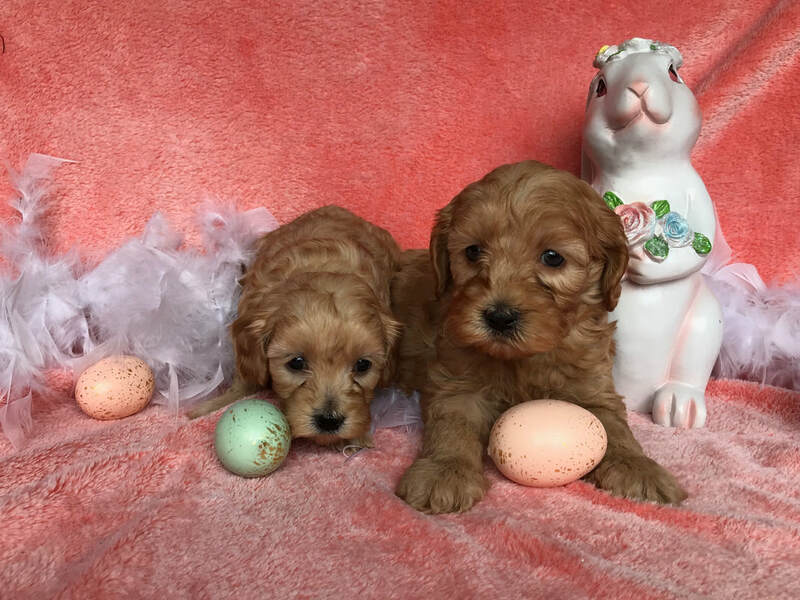 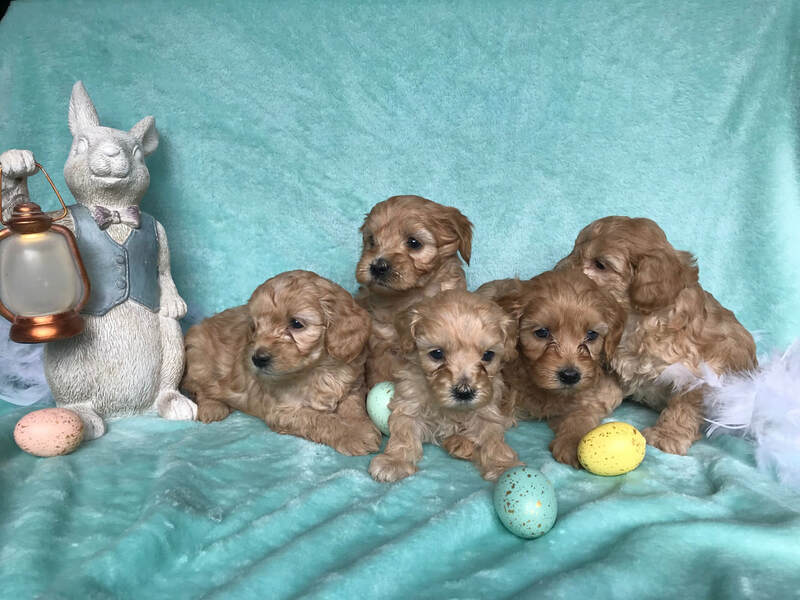 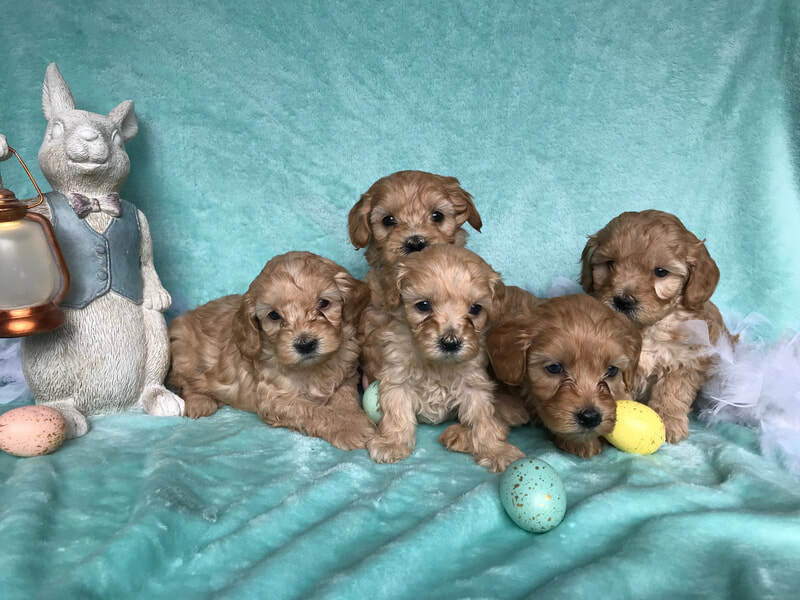 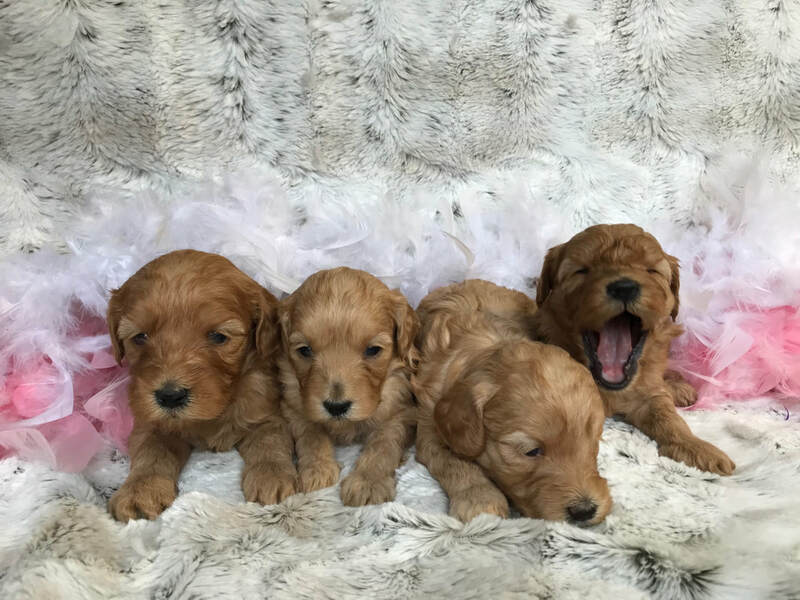 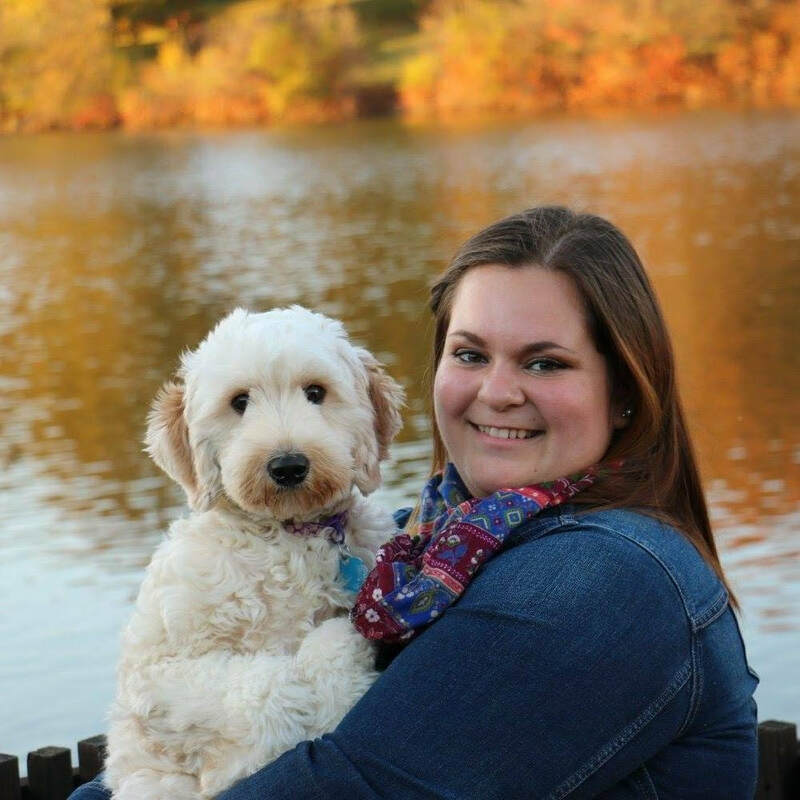 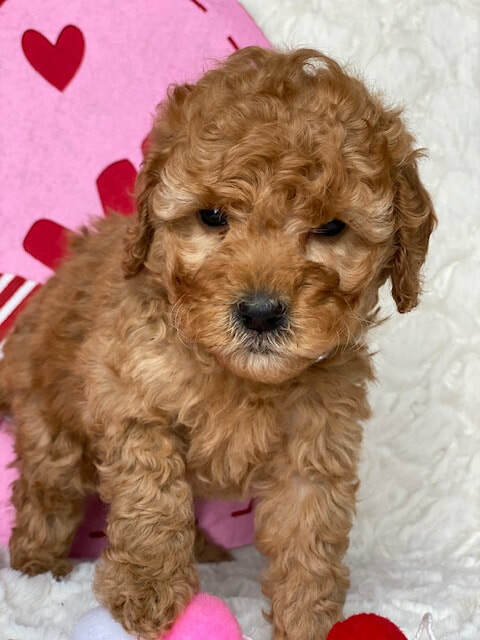 Calia is a mini goldendoodle and is a daughter of Annie x Moe - now that she is old enough, she has been paired with Finnigan, a mini AKC poodle. 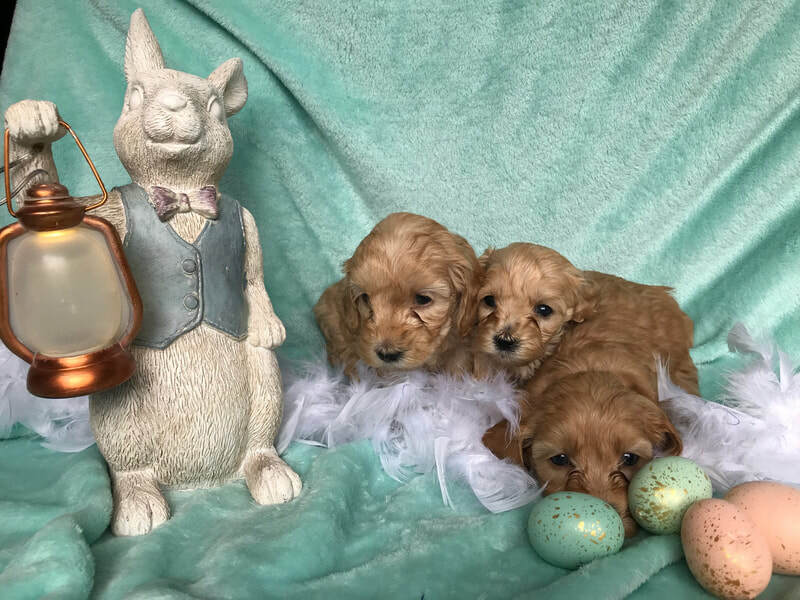 Annie and Moe have the Drummonds as their guardian family, and Calia is with the daughter. 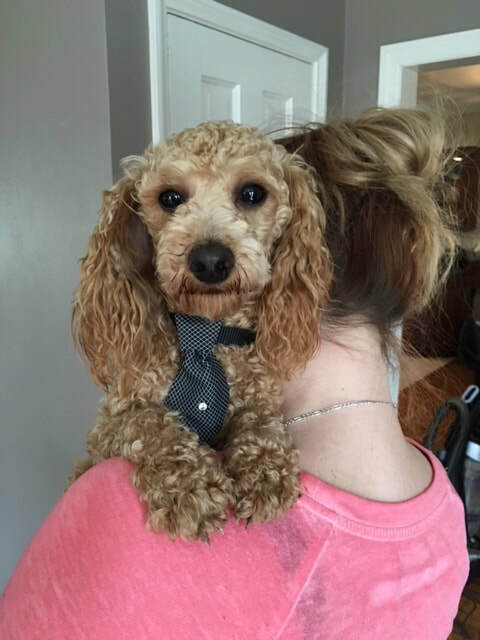 Finnigan is owned by sister Carrie. 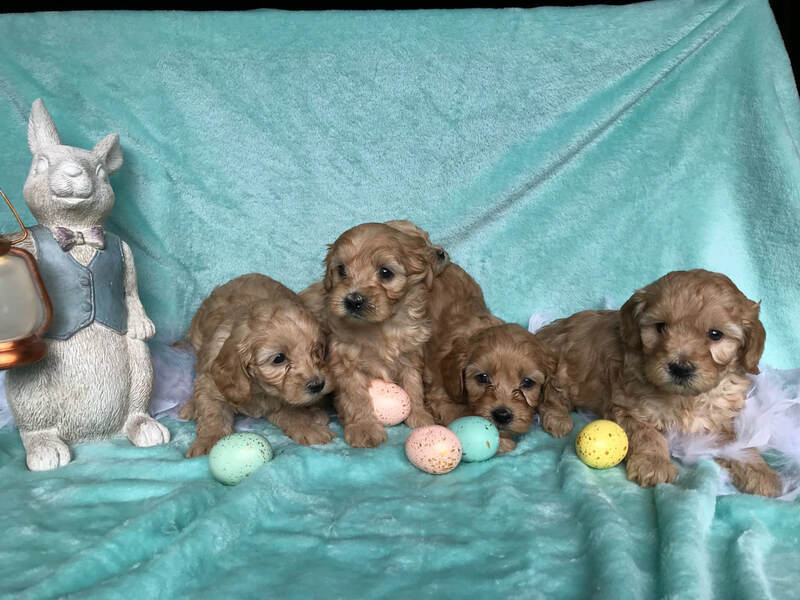 Both parents are quite small - Calia is 23 lbs and Finnigan is 12 lbs, so these pups will probably be amongst the smallest we have ever had. 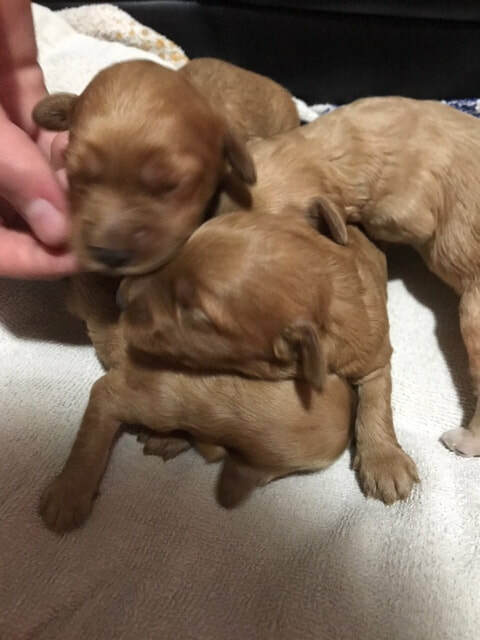 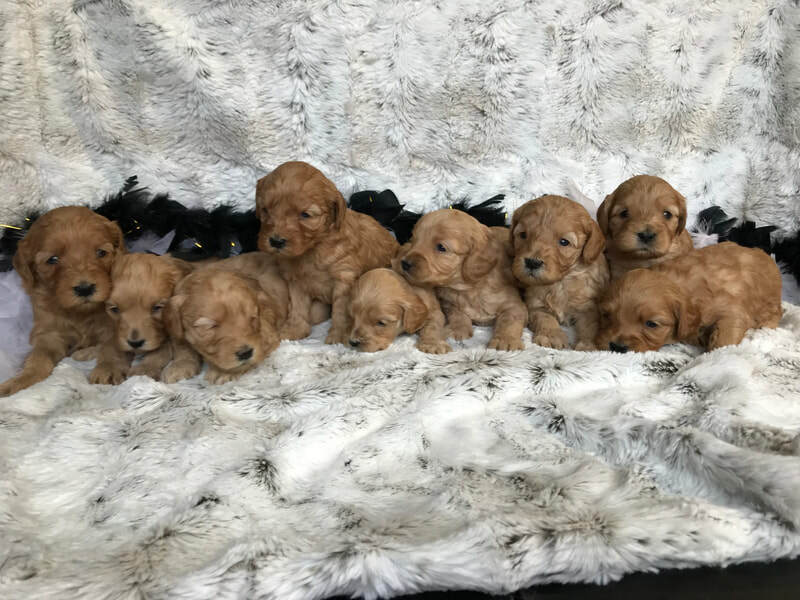 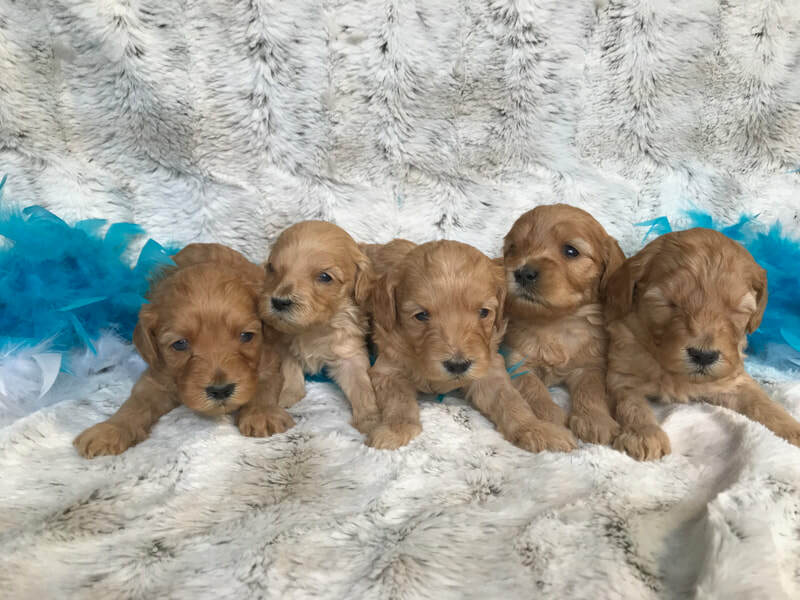 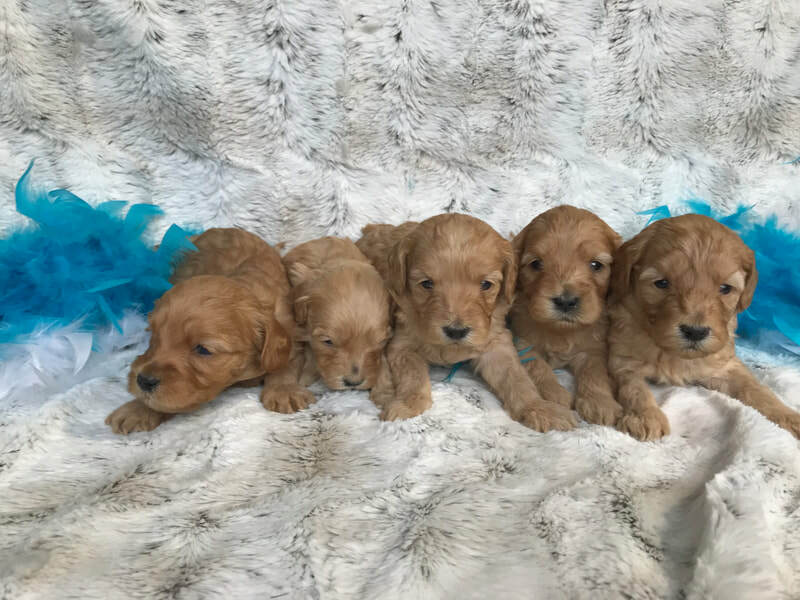 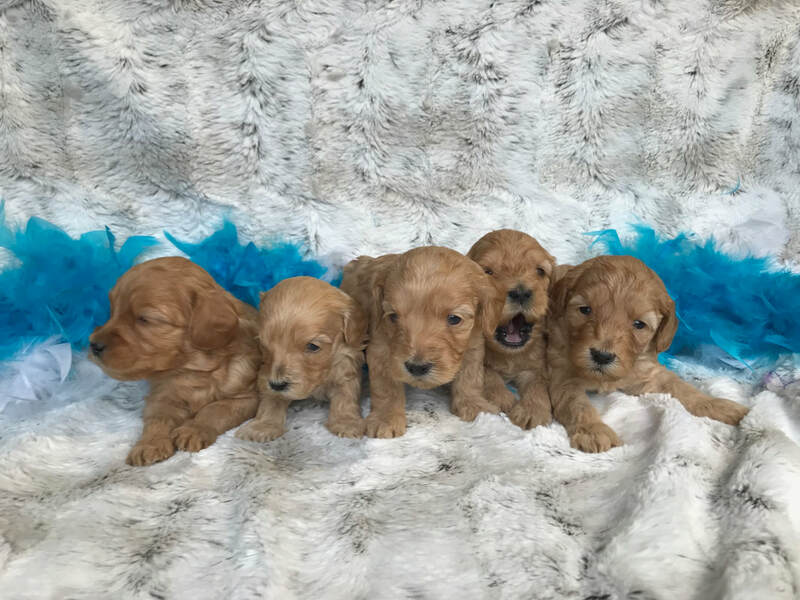 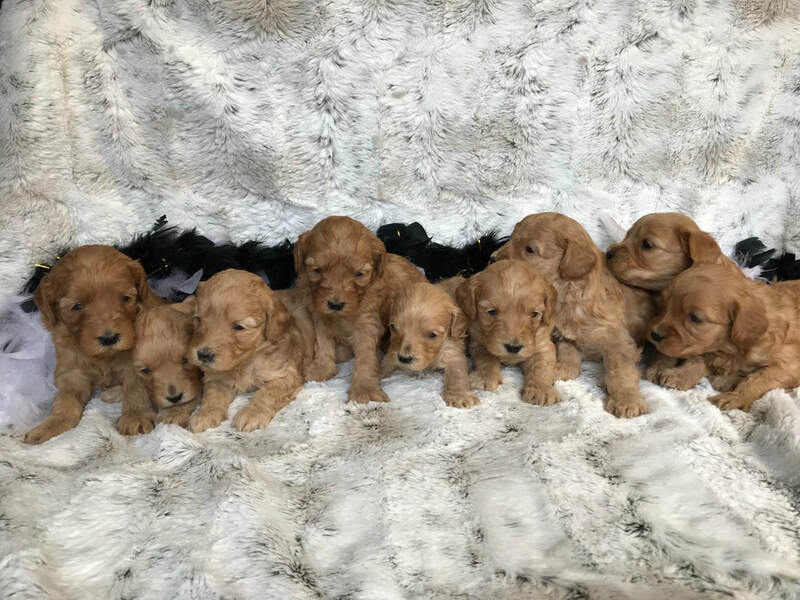 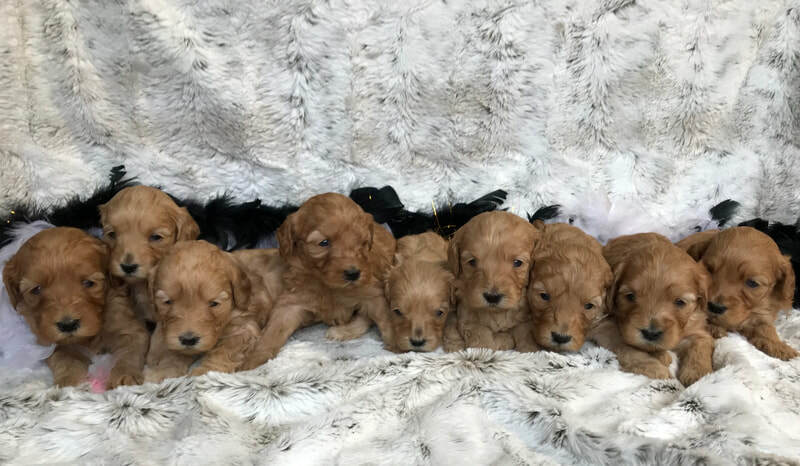 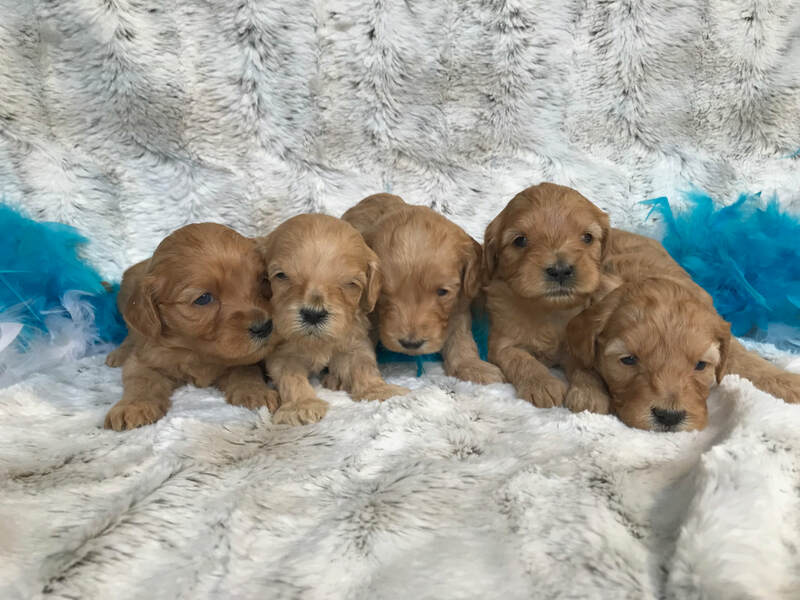 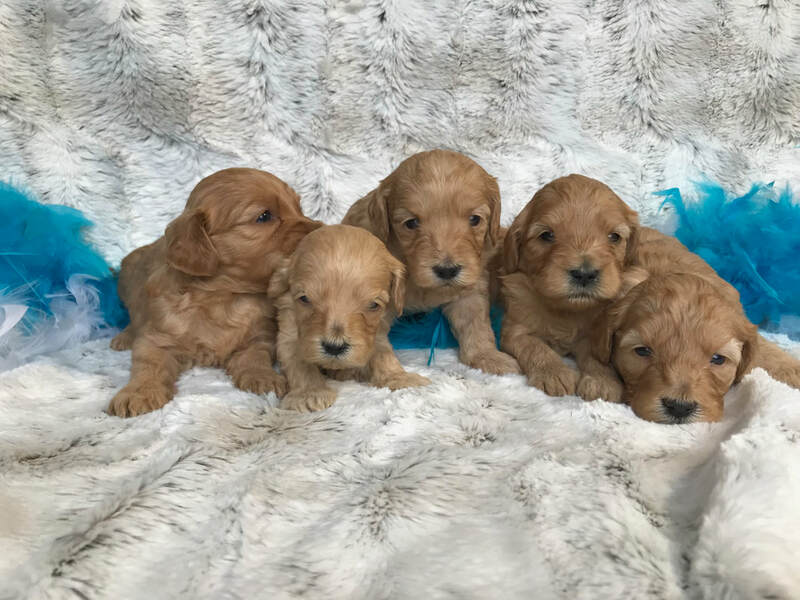 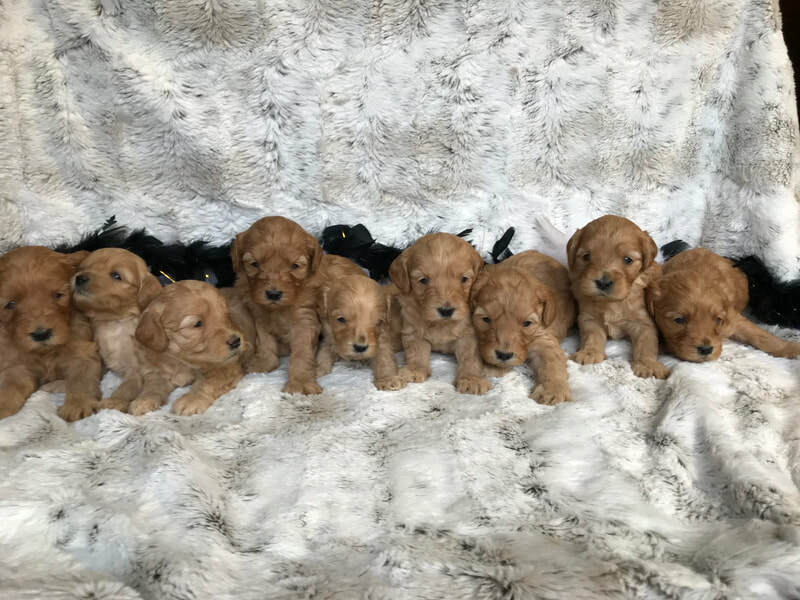 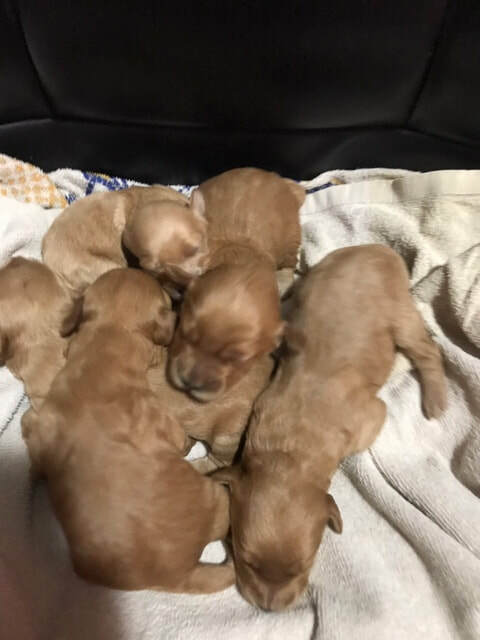 This is their first litter together, but we have had Finnigan puppies before, and Calia is daughter to one of our moms that is retiring that we have had several litters with. 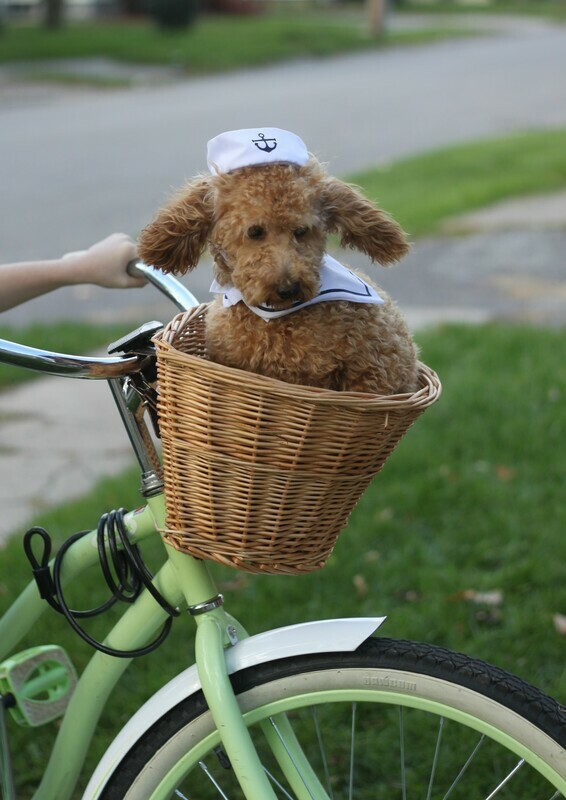 My guess is adult weight of about 15 to 25 lbs. 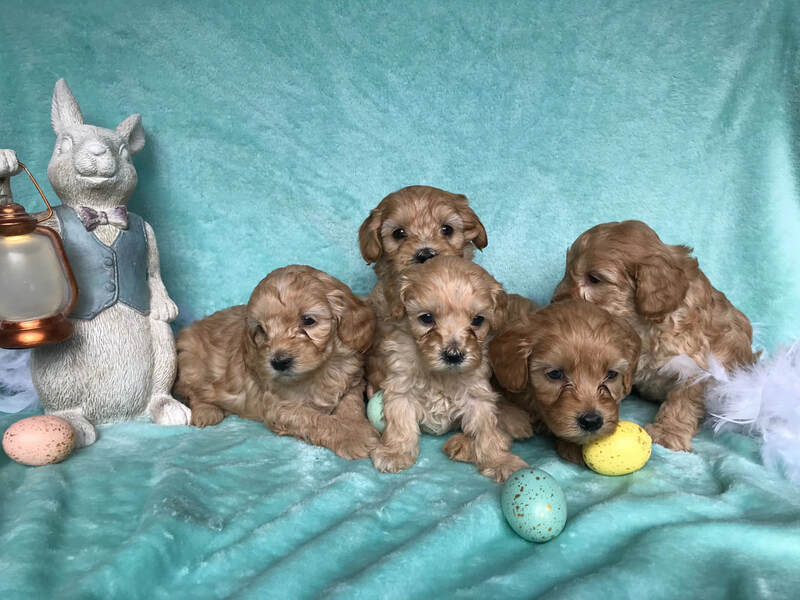 The puppies are $3000 + $240 tax if applicable. 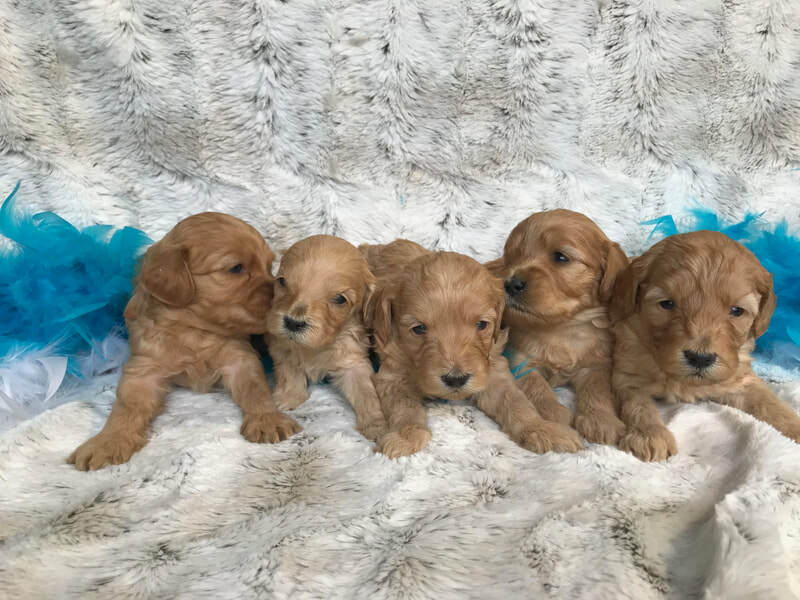 There is a required non-refundable deposit of $500 to be on the list. 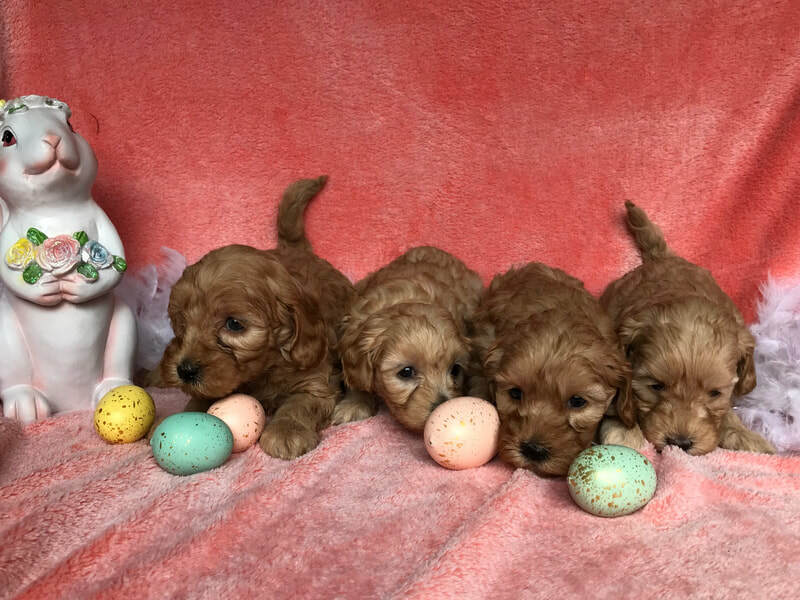 Picking is not until 5/11. 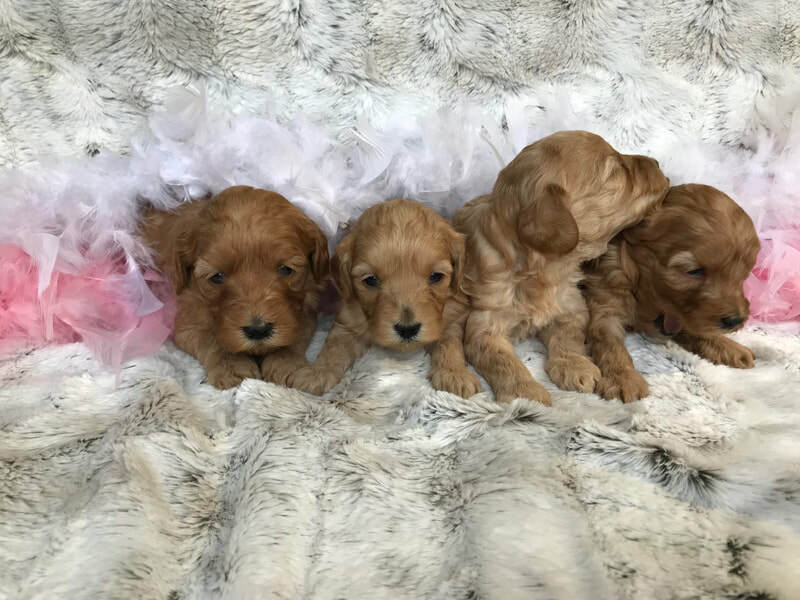 You must confirm a gender to commit to. 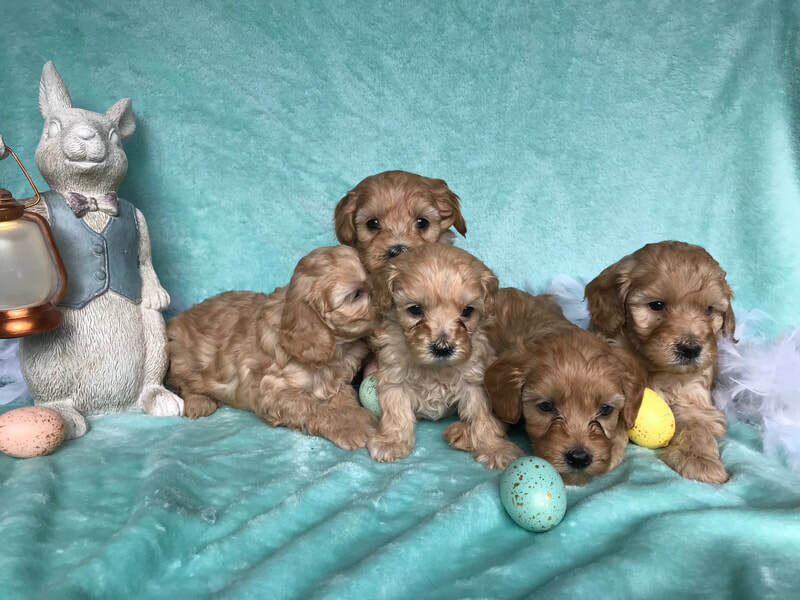 The balance is due on 5/10. 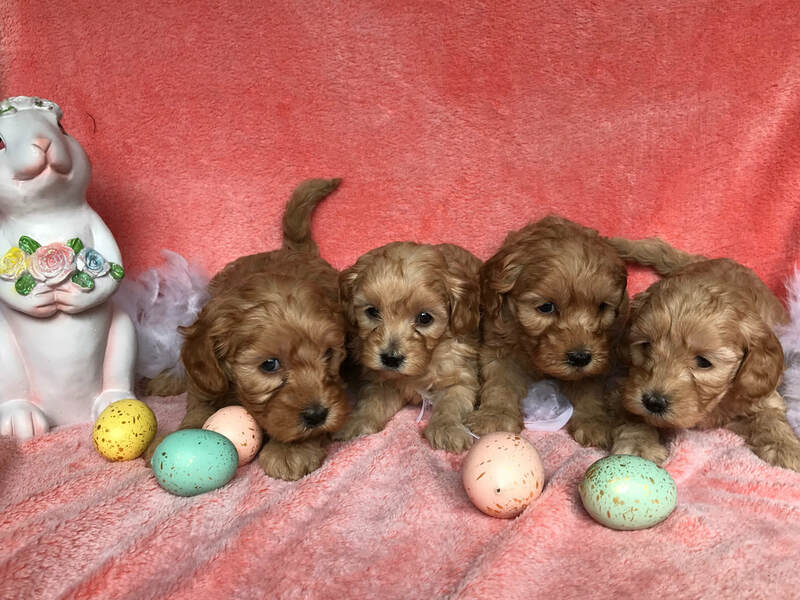 If someone moves off the list, the list moves up. 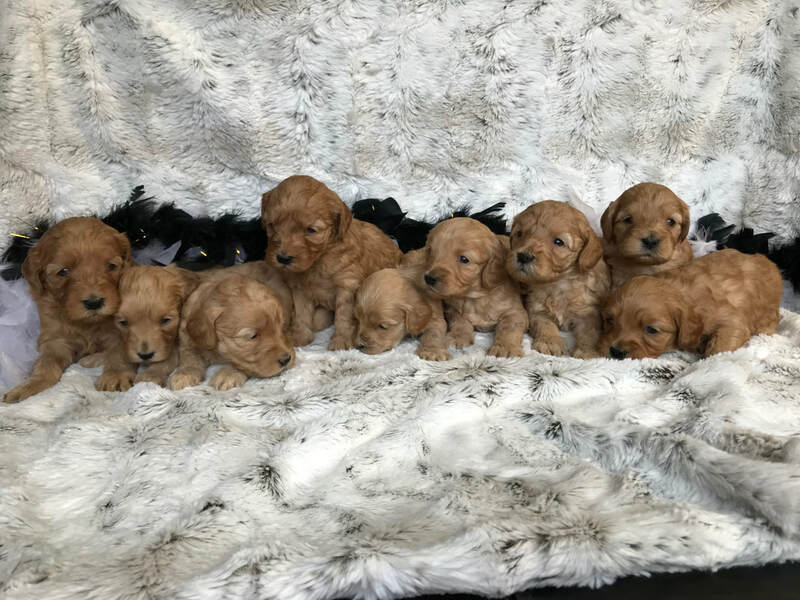 Spots are reserved by deposit and gender.